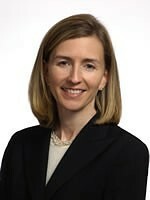 Karen Beldy Torborg joined Marsh in 1993 from Chubb & Son Inc., where she worked in underwriting. At Marsh, she started in the casualty practice before transferring to the private equity and mergers and acquisitions practice in 1996. At PEMA, she took on progressively more complex roles, including global chief operating officer and North America PEMA practice leader. She was named to her current position in 2005 and, that year, she was also appointed to the Marsh board.